I finished Apology to a Whale: Words to Mend a World on my granddaughter's first birthday. The delight I feel for this child's appearance on the planet is tempered with my anxiety about her future. Will Earth even be livable by the time she reaches maturity? What kind of environmental chaos and biological upheaval will she need to be resilient enough to live through? 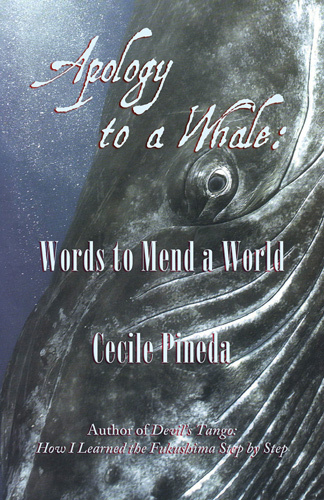 Author Cecile Pineda is a poetic writer who turned late in life from writing novels and directing theater to researching and writing a unique form of non-fiction. Her previous book about the disaster at Japan's Fukushima nuclear reactors in 2011 had a profound effect on my thinking about the mess we're in. It was interesting to me that my husband -- who has studied about and educated others about the perils of the nuclear industry for years -- also found that Tango informed and stimulated his thinking. We've both read that book more than once. The common thread between Pineda's two works of non-fiction is environmental peril. Devil's Tango: How I Learned the Fukushima Step By Step presented a picture of our world already deep in nuclear war and nuclear denial. Her newest book, Apology to a Whale: Words to Mend a World, seems to me more about causes and less about effects. 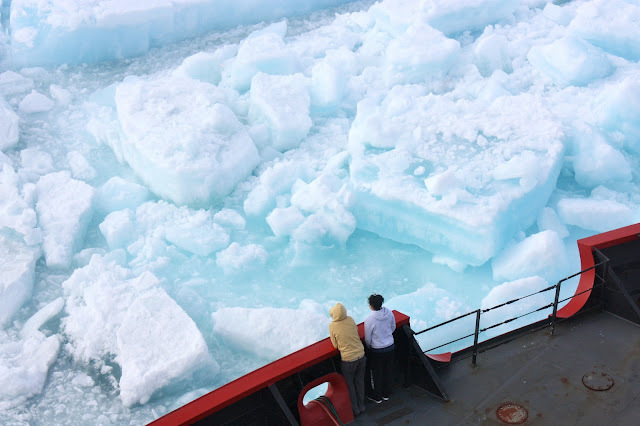 She was inspired to write the book after watching Arctic sea ice melt and imagining for an instant that a calving piece of ice was actually a whale. The intriguing thesis of Whale contrasts the attitudes of terrestrial beings with those of the sea, observing that those of us who walk on land need territory while those of us who don't share a common, borderless realm. Pineda speculates that even pre-patriarchal cultures who live upon Earth with respect, love, and communal values emphasizing sharing do need territories. She wonders if life on land could be lived without the boundaries and borders that carve out individuals and discrete nation-states with their aggressive, competitive tendencies. It's an interesting question to ponder. Pineda toys with evolutionary biology and bits of evidence suggesting that species with markers of Cetacean structures (shared by whales) both emerged from and returned to the oceans. It made me wonder if life, which is said to have emerged from the primordial soup of the oceans, could still make a U-turn and head back to the seas. Are they now too carbon-loaded and acidic to make this possible? Or am I just thinking like a primate again? The author's discussion of the role of cells in evolution and of the existence of cells from one body being found in another (mother's cells in offspring, and vice versa) is also intriguing. Pineda writes at the intersection of science and poetry, a fertile and thought-provoking location. Patriarchy and militarism are addressed in separate sections of Whale but they feel closely related as root causes of the despoiling of Earth. Also as barriers to indigenous peoples being able to bring their wisdom to stewardship of our shared environments. Pineda sees Proto-Indo-European languages with their structures of control and power as part of the problem with living sustainably on Earth. She cites Marija Gimbutas' Kurgan invasion as a possible turning point for human beings in spreading both the language family and the domineering attitudes that have led us to the brink of climate chaos and possible life extinction. Pineda, if I understand her correctly, would have us go back even farther than Gimbutas' gynocentric civilizations of the goddess. She doesn't say how, but she suggests that our goal must be to return to the wisdom of Mother Whale. 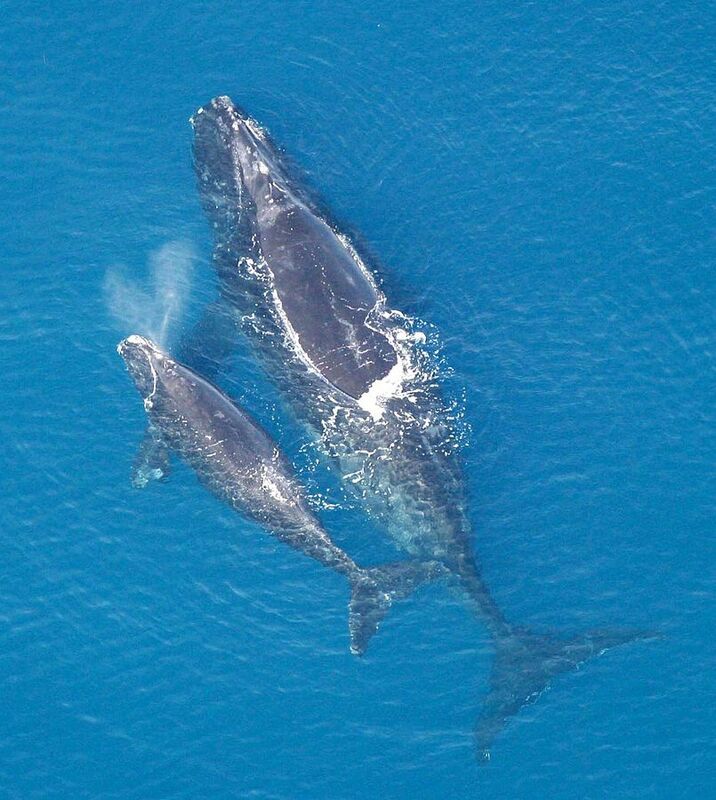 She leaves us with a final image of two whales swimming along the surface, spiraling as they mate so that each has a turn to breathe. The depths below are the realm where they've lived peacefully together for eons without disturbing the environment that supports them. We would do well to emulate them.